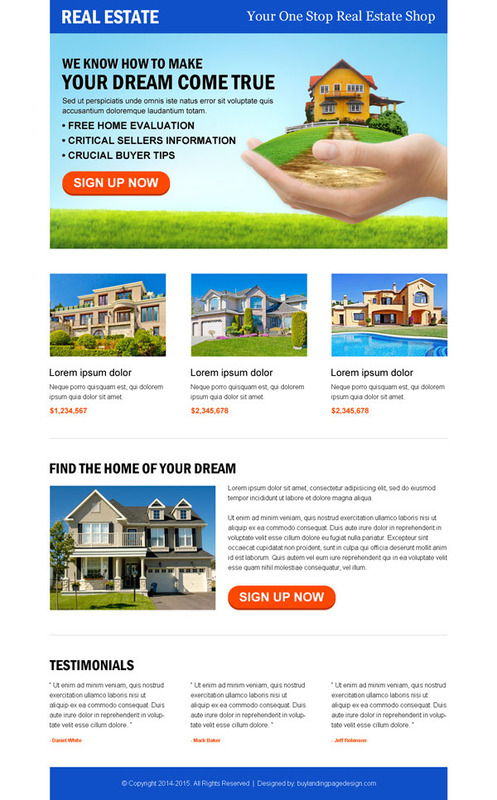 Creative lead generating real estate landing page designs for capturing quality and returning leads. 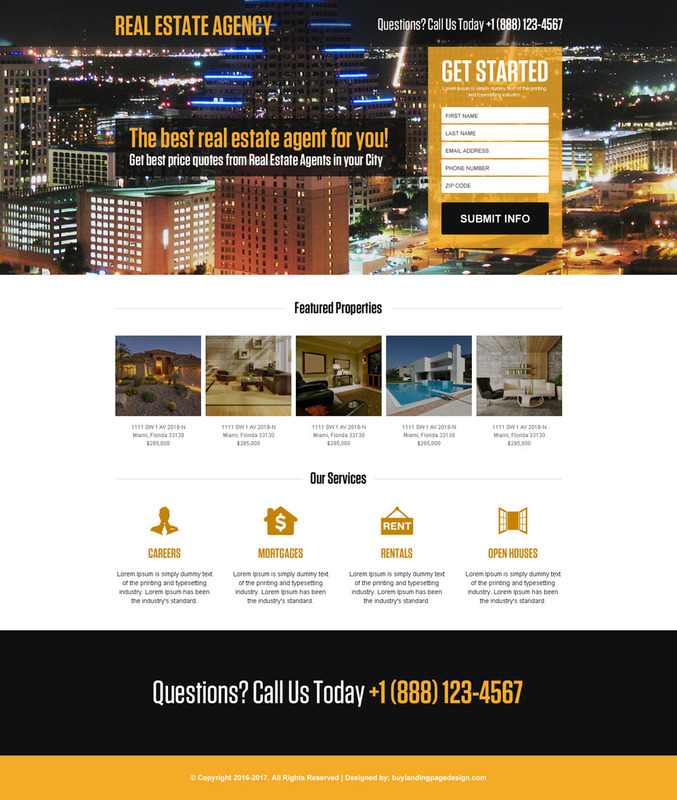 Best real estate landing page design templates for real estate agents, broker, sellers, and developers on affordable price. Get best real estate landing page design templates at an affordable price from us to boost your real estate business conversion by increase traffic, leads and sales. Our converting real estate responsive landing page design templates gives the best result for your real estate marketing campaign. If you are a real estate agent, real estate brokers, real estate sellers or a real estate developer, use our clean, creative and converting real estate html landing page design templates for capturing quality leads online. Are you getting expected leads from your real estate landing page? Do you wonder why your landing page is not converting? The answer is your landing page is not able to make a positive impact and a trust worthy impression on your visitors and convert them into a positive and returning leads.